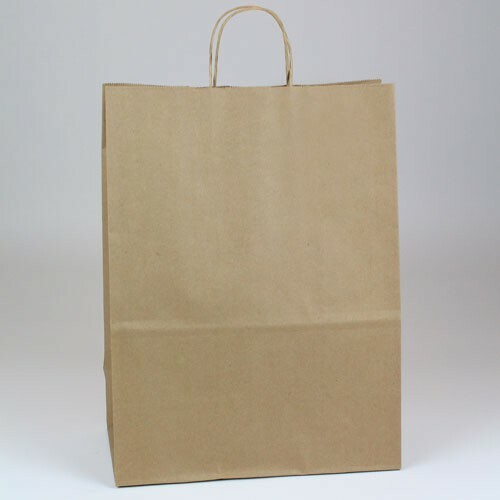 Our natural kraft and white kraft shopping bags with twisted paper handles are an eco-friendly packaging option for your retail business, restaurant, event or party. 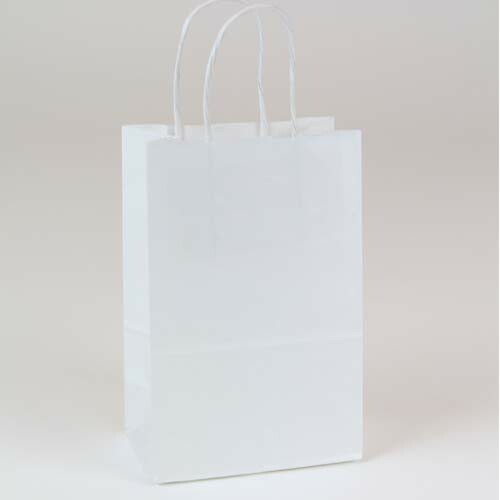 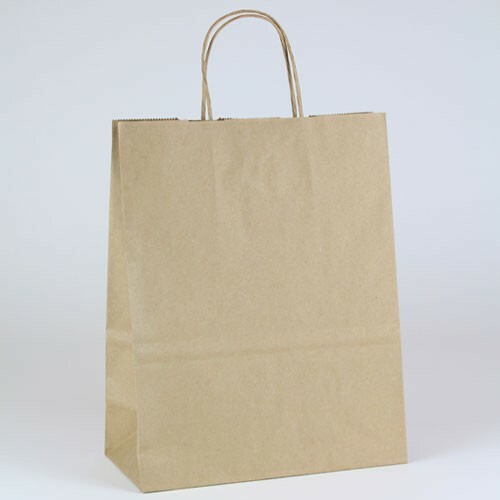 Choose from our standard kraft shopping bags for medium to heavy use or our cost-saving economy shopping bags for light use. 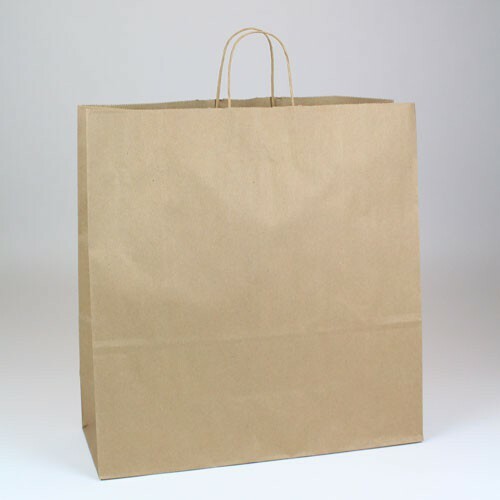 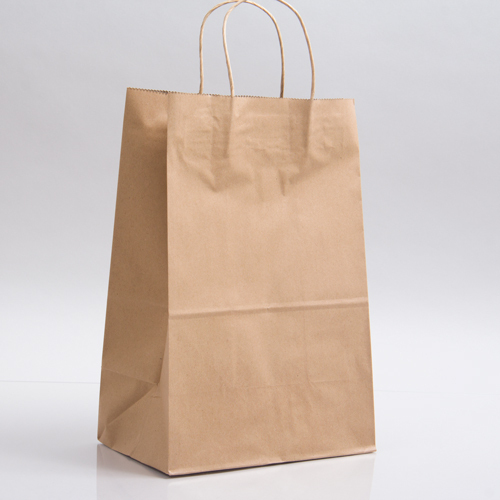 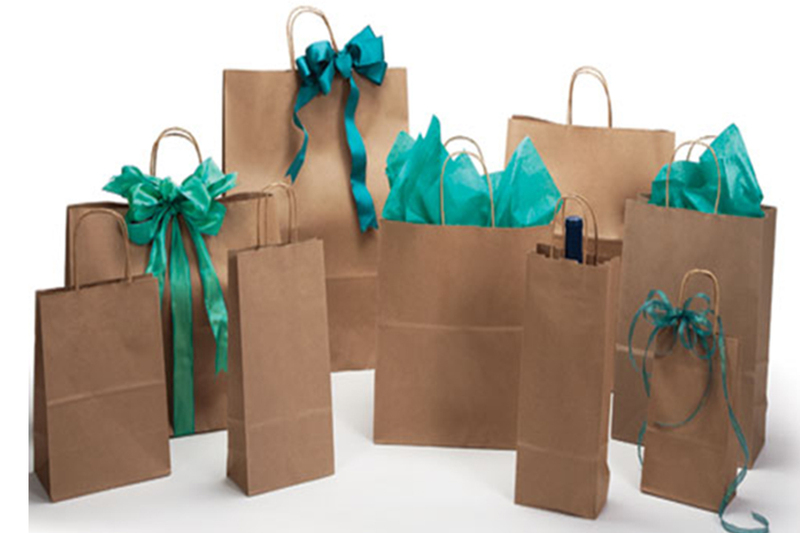 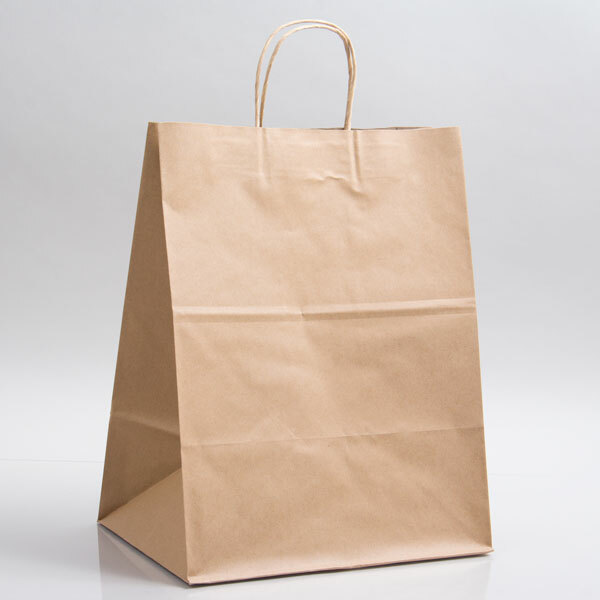 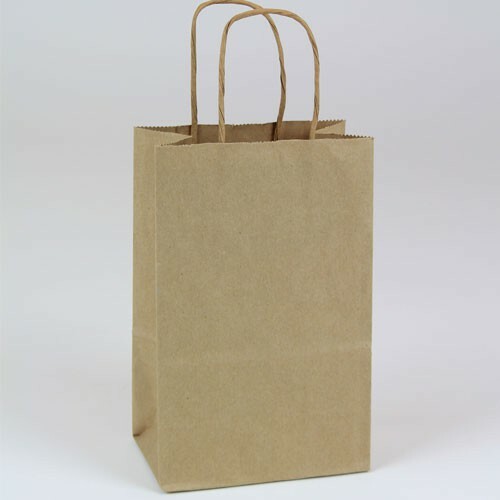 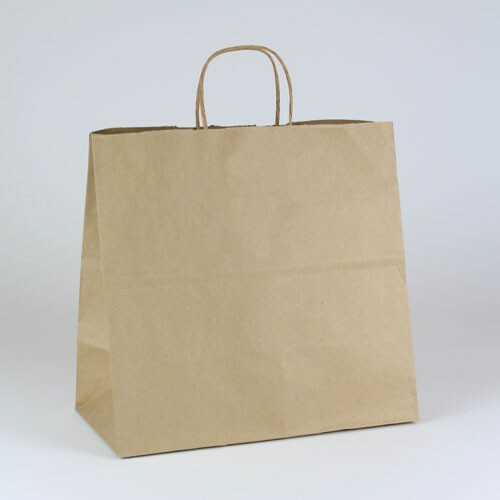 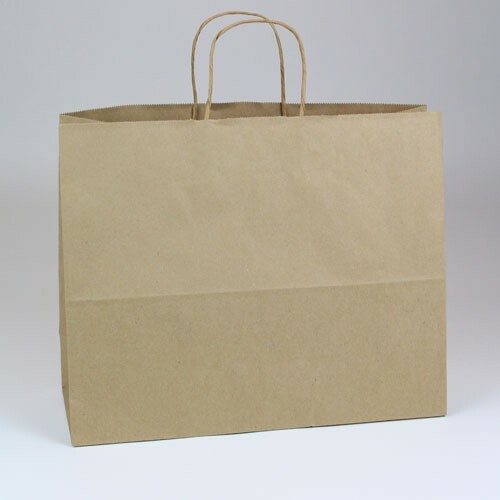 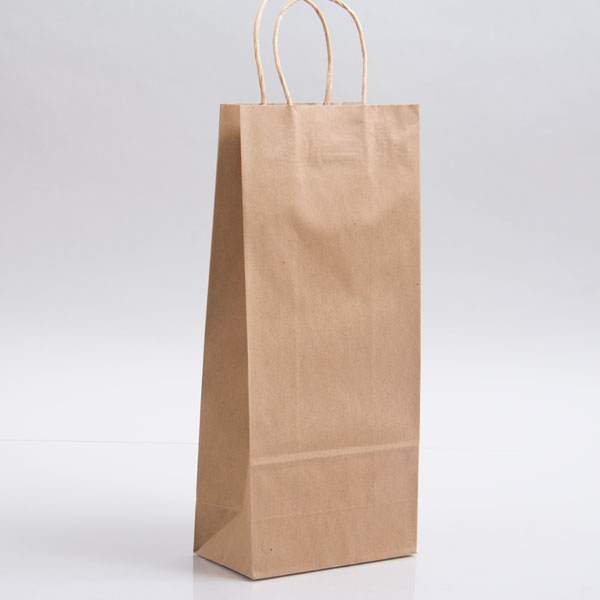 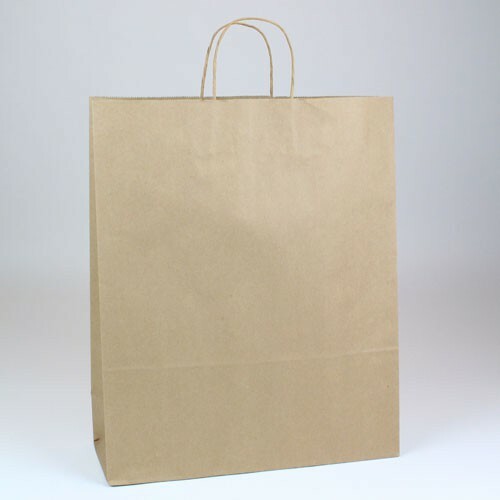 Kraft paper shopping bags are a staple packaging item; seen across all retail shops, malls, restaurants, and marketplaces, these bags are one of the most versatile shopping bags available. 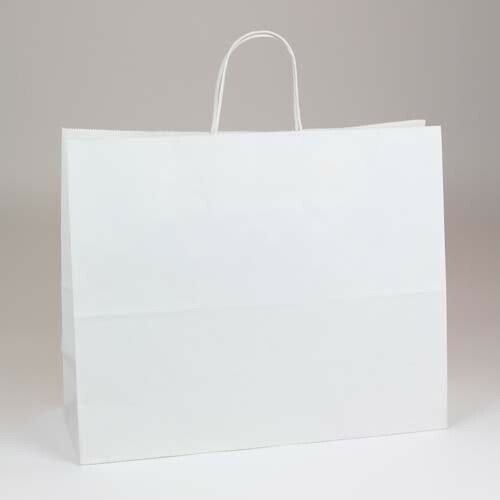 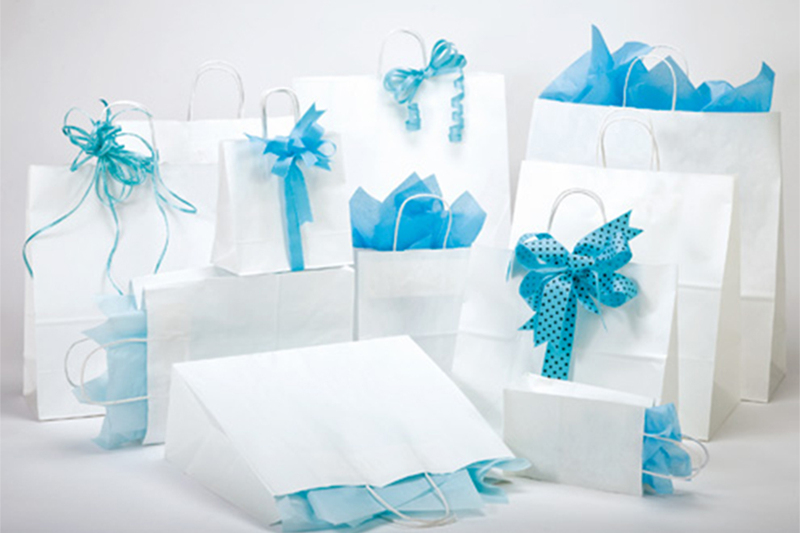 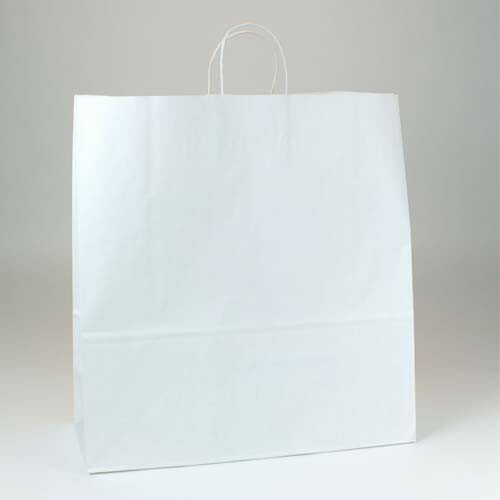 Paper shopping bags are an eco-friendly choice for retailers and restaurants and prove to be durable and reusable to the end user. 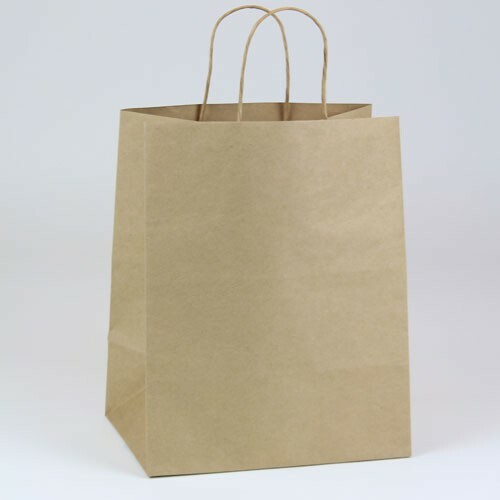 We offer high-quality paper shopping bags in both white kraft and natural kraft that are made from up to 100% recycled materials. 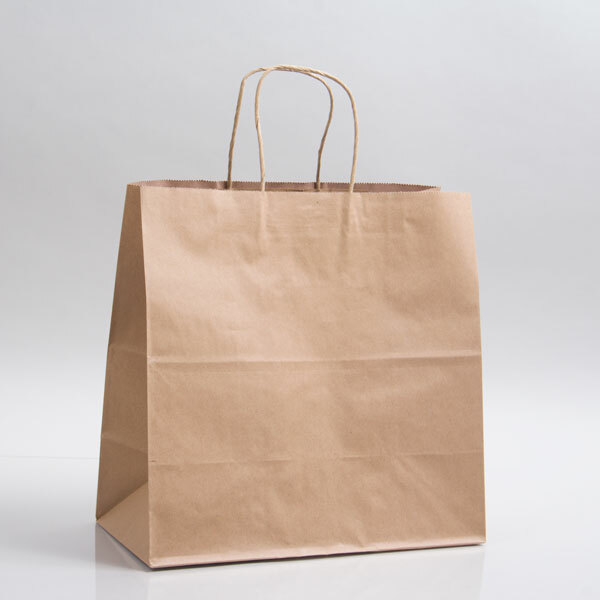 Our white and natural kraft paper shopping bags are the ultimate shopping tote for retailers, restaurants, events, and more. 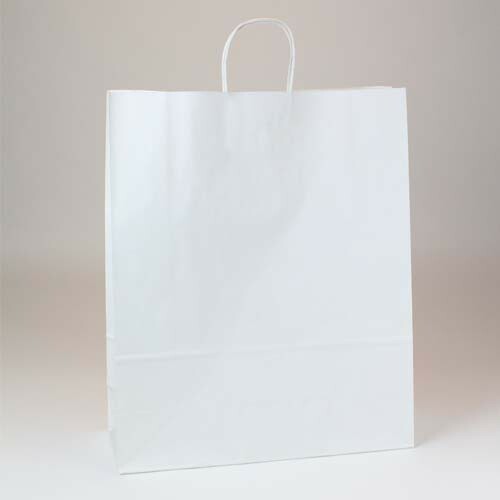 Many of our paper shopping bags are made with 100% recycled materials to be the most eco-friendly option available. 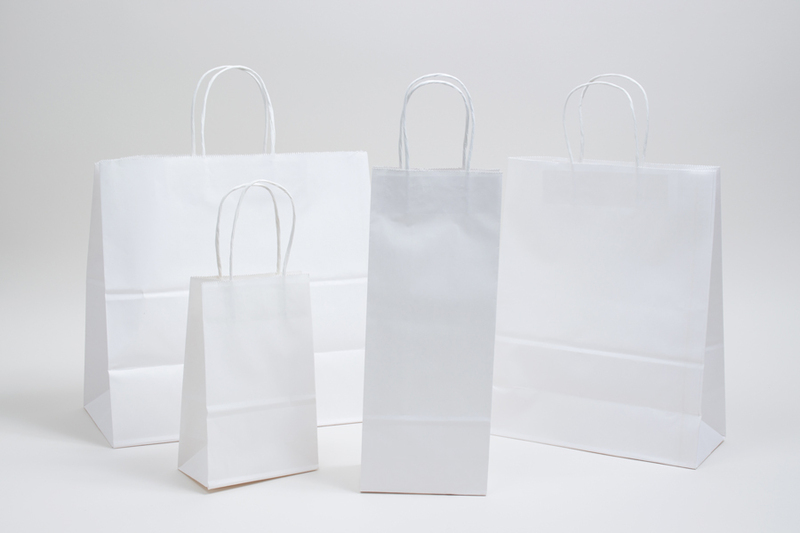 These durable bags have squared bottoms, serrated edge tops, and matching twisted paper handles securely glued inside the bag. 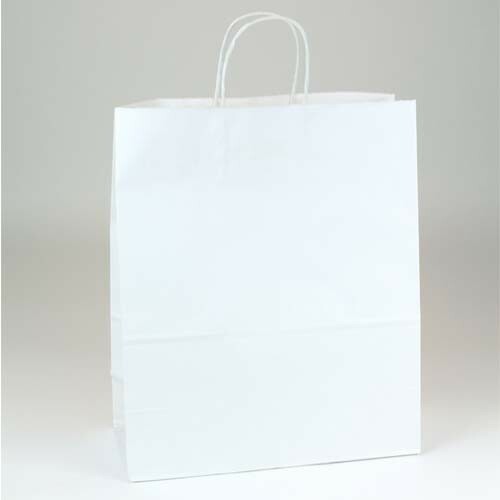 A variety of popular sizes are available to fit any business or event needs. 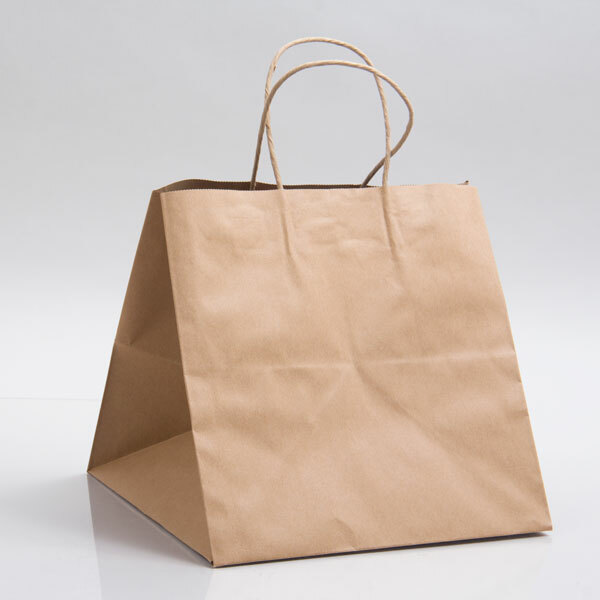 To be optimally environmentally friendly, our paper shopping bags are recyclable, compostable, and durable enough to be reused. 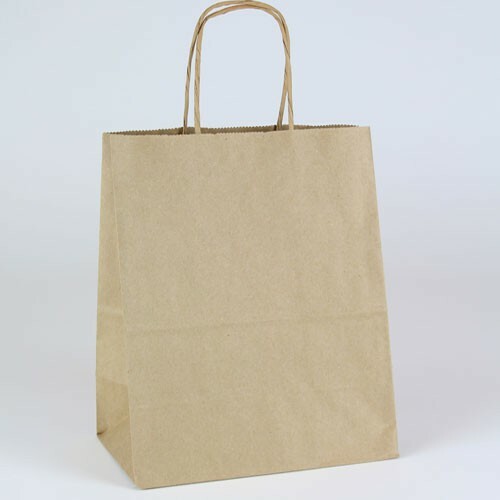 Along with being manufactured with recycled materials, this makes the bags an overall eco-friendly choice. 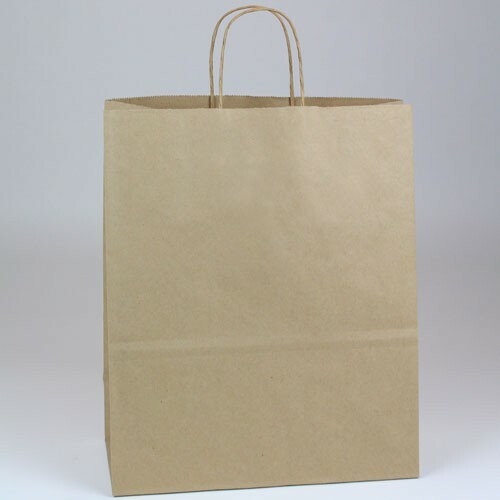 Our kraft paper bags are made with high-quality paper materials that are derived from both post-consumer and post-industrial recycled paper. 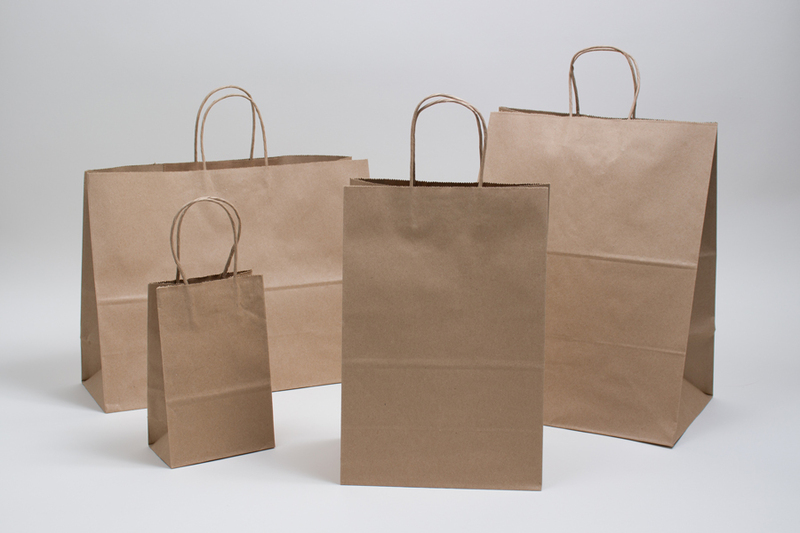 Look no further for affordable prices, quick shipping, and quality paper shopping bags and other packaging essentials.